The VSU Archives and Special Collections supports the University’s commitment to scholarly and creative work, enhances instructional effectiveness, encourages faculty scholarly pursuits, and supports research in selective areas of institutional strength focused on regional need by collecting, preserving, and providing access to records of enduring historical value documenting the history and development of VSU and the surrounding South Georgia region and in support of VSU curriculum. Before visiting or contacting the VSU Archives and Special Collections, please read our Usage Policy. For information on how to make donations, please see our Policies and Procedures. 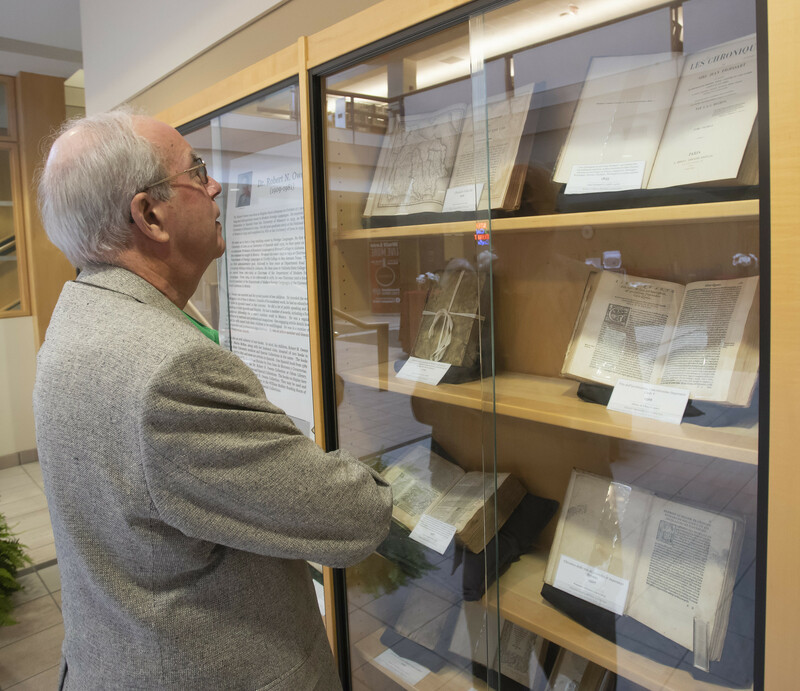 Our special collections houses rare books, regional history, theses and dissertations, and more. 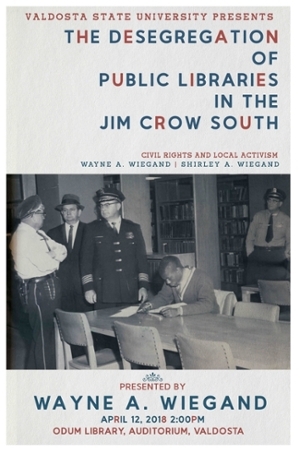 We are very proud to have the Owens/McRae collection at Odum Library, Valdosta State University Archives and Special Collections. The books date from 1507 to 1891 and most are written in Spanish. One Spanish book from 1589 is the first edition of the Emblemas Horales by Don J nan de Morozco y Covarruvias. Presented by the speaker and author Wayne A. Wiegand. April 12, 2018 2:00PM at Odum Library Auditorium at Valdosta State University. The Valdosta State University Archives and Special Collections is currently processing the Spectator Negatives, 1980-1985 Collection. These photographs were taken by Valdosta State College Spectator staff in the early to mid-1980's. The first batch of photographs have been uploaded to flickr. You can view them online at https://flic.kr/s/aHskzyhDyC. If you recognize anybody or any event depicted in the photos, please comment. Valdosta Daily Times Death Index, 1868-1987. GENDEX, The Valdosta Daily Times Genealogical Index spanning from the 1860s to the 1980s has been digitized in full. This valuable genealogical resource is now online for the first time ever. You can search the Valdosta Daily Times Vital Records database and the Gendex database here. We are please to announce that Valdosta State's historic yearbook collection, spanning from 1925-1987, has been completely digitize. Browse decades of life at Valdosta State at https://archive.org/details/valdostastate on the Internet Archive. Congratulations to the VSU Archives for winning the 2007 Brenda McCallum Prize from The American Folklore Society!